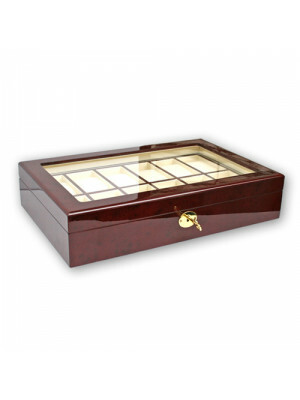 VOLTERRA de Luxe presentation cases are very elegant and attractive. 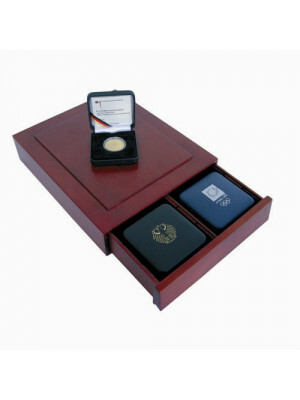 High-quality mahogany grain coin case for 35 2-euro coins in capsules (inner diameter 26 mm). Lid cushion upholstered in blue satin. Secure and unobtrusive magnetic clasp. Blue, velvet-look insert with 35 circular slots. Overall size: 245 x 305 x 30 mm. 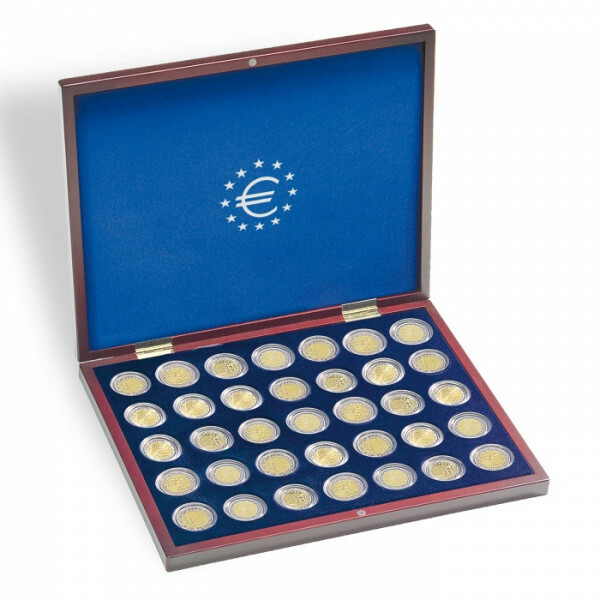 Item includes 35 coin capsules for 2-euro coins (inner diameter 26 mm).